Many of our ancestors led fairly straight forward lives – got married, worked, had children etc. However, there are some of those ancestors who stand out for other reasons. When researching some of my extended family, I stumbled across this record for my paternal 1st Cousin 3x Removed, James Bennett Prescott (his grandparents are my 3x great-grandparents). His name was listed on the UK Lunacy Patients Admission Register. He was admitted to the Wells Lunatic Asylum on 24 March 1911. Interestingly, it also includes his military number and rank: Private H-3-30. This record also includes his date of death – 19th April 1911. “UK, Lunacy Patients Admission Registers, 1846-1912”, Jas Bennett Prescott, Wells, Somerset, 24 March 1911, database and images, Ancestry (www.ancestry.co.uk: accessed 25 March 2019); citing National Archives, Lunacy Patients Admissions Registers; Class: MH94; Piece:46. The 1911 England census was taken on the night of 2nd April 1911. James was listed as a patient at the Somerset and Bath Lunatic Asylum (also known as the Mendip Hospital). It lists his occupation as Ex-Sailor. His condition, like most of his fellow patients, was listed as ‘lunatic’. 1911 England Census, Wells St Cuthbert, Somerset, Registration District No: 313, Piece 14532, Page No. 15, J B Prescott, database and images, Ancestry.co.uk (www.ancestry.com: accessed 25 March 2019). He was only at the asylum for less than 4 weeks. Unfortunately, the register record does not note the reason for his admission. However, his death certificate appears to give an answer. According to his death certificate (seen below), he died from Tuberculous Meningitis. It appears he suffered with the condition for six weeks, which may explain his admission into the asylum, as his battle with the disease would have began around two weeks before he entered the asylum. General Register Office. Death Certificate, Wells, Somerset, James Bennett Prescott, Apr-May-Jun 1911, Vol 05c, Page 292. Although we traditionally think of ‘lunatics’ as mentally ill, many of these patients suffered from common physical ailments such as the menopause and epilepsy. In the case of James, Tuberculous Meningitis can cause confusion and agitation, which may be why he was sent to the Lunatic Asylum and not a workhouse hospital for treatment. In the spirit of St Patrick’s Day, meet my Irish connection: my maternal 3x Great-Grandfather John Donoghue. The birth and early life of John is still somewhat of a mystery, not helped by record losses, but it is thought he hailed from the Cork area of Ireland. The 1861 census is the first English record in which John appears. Although the record is fairly illegible, John was listed as being born in 1839 in Cork, Ireland. He was a lodger with Dennis Donoghue and his family. As Dennis is listed as being from Cork, it is possible that he is a relative of Johns. On 27th January 1869, John married Sarah Marsden at St Mary’s Chapel Moorfield. It is interesting to note that his father is listed as a farmer named Cornelius Donoghue. General Register Office. Marriage Certificate, London City, Jan-Feb-Mar 1869, Vol 1C, Page 153. In the 1871 census, John and his wife Sarah were living at 7 Saville Buildings, Aldgate, London. Their son Frederick Cornelius (my 2x great grandfather) was 6 months old. The 30-year-old John was working as a laborer at the time, which was often a very low paying job. 1871 England Census, Aldgate, London, Household Schedule 80, Piece 413, Folio 9, Page No. 12, John Donaghue, database and images, Ancestry.co.uk (www.ancestry.com: accessed 17 March 2019). In the 1881 census, John had moved to 23 Palmers Folly, St George in the East, London. The family now had three children – Frederick, Sarah and Benjamin. John was working as a Railway Porter. 1881 England Census, St George in the East, London, Household Schedule 149. Piece 457, Folio 84, Page 27, John Donoghue, database and images, Ancestry (www.ancestry.co.uk: accessed 17 March 2019). In the 1891 census, John and his family was now living at 29 Wellclose Square, Wapping. They had another daughter, Mary by this time. The family was sharing the home with the Solomons family. Three of the family were now working to support the household – John was a general laborer, Sarah was a charwoman (cleaner) and Fred was a printer. 1891 England Census, Wapping, London, Household Schedule 96, Piece 290, Folio 116, Page 18, John Donoghue, database and images, Ancestry (www.ancestry.co.uk: accessed 17 March 2019). In 1892, John was still living at 29 Wellclose Square. It was revealed in London Electoral records that Solomon Solomans was in fact John’s landlord. “London, England, Electoral Registers, 1832-1965”, John Donoghue, 29 Wellclose Square, St John Wapping, database and images, Ancestry (www.ancestry.co,uk: accessed 17 March 2019); citing LMA, Electoral Registers. Sadly, John died on 14th December 1900 in the Poplar and Stepney Sick Aslyum (part of the workhouse system). He was 63 years old when he died of Sudden Phthisis (Tuberculosis). He was survived by his wife Sarah (who died 7 years later). It is unknown where he was buried. General Register Office. Death Certificate, Poplar, London, John Donoghue, Dec 1900, Vol 01c, Page 364. Ancestry Labs – Exciting New Tools! For those of us who have tested on Ancestry DNA, there are some new Beta Tools available to help with your DNA research. One of the two beta tools launched today are “MyTreeTags” which enable you to add tags to people in your tree with tags such as “Currently Researching, Completed, Unverified, Brick Wall”. Not only does this help you keep track of your own research, but informs people who are viewing your tree the status of each ancestor. The other tool is the one I am most excited about! There is now the option to sort DNA matches into specific custom groups, as well as more ways to filter your matches (unlinked/no trees, public trees, new matches etc). To access and enable these tools, the Ancestry Lab can be found under the Extras tab at the top of the Ancestry webpage. In this latest Ancestor Spotlight, we meet my maternal Great-Great-Grandmother Mary Louise Bolton on the 140th anniversary of her birth. Mary Louise Bolton was born on 19th February 1879 in Islington, London to James Bolton and Louisa Jane Markwick. She was baptized on 7th August 1881 at St Mary Magdalene Church, Islington. “London, England, Church of England Births and Baptisms, 1813-1917”, entry for Mary Louise Bolton, 7 Aug 1881, St Mary Magdalene, Islington, database and images, Ancestry.co.uk (www.ancestry.co.uk: accessed 26 Jan 2019); citing LMA, Church of England, Parish Registers 1754-1906, Ref No: p83/mmg/002. By 1883,the family had moved to Mile End Old Town where Mary’s younger sister Ellen Elizabeth was born. However, they did not remain here long. By 1888, they had moved to Hackney where Mary’s youngest sibling Frederick was born. The Bolton family lived in poverty and on 31 October 1888, Mary and two of her brothers entered into the Hackney Workhouse, although it is not known how long they ended up staying there. “London, England, Workhouse Admission and Discharge Records, 1764-1930”, entry for Mary Louisa Bolton, 31 Oct 1888, Hackney Union, database and images, Ancestry (www.ancestry.co.uk: accessed 26 Jan 2019); citing LMA, Ref No: HABG/208/019. The family appears to be living apart in different areas at the time of the 1891 census (the circumstances of this are still a mystery). Mary and her older brother James William were living at 10 South Grove, Mile End Old Town, a relatively poor area. 1891 England Census, Mile End Old Town, London, Household Schedule 129, Piece 310, Folio 125, Page No. 20, Mary Bolton, database and images, Ancestry.co.uk (www.ancestry.co.uk: accessed 26 Jan 2019). On 31 July 1898, at the age of 19, Mary married Henry John Donald in Mile End Old Town. In 1901, the happily married couple were living at 105 Fairfoot Road, Bow with the Ives family. Henry was working as a General Carman and Mary was a Shoe Finisher. 1901 England Census, All Hallows Bow Common, London, Household Schedule 89, Piece 350, Folio 36, Page No. 12, Mary Donald, database and images, Ancestry.co.uk (www.ancestry.co.uk: accessed 26 Jan 2019). Over the next seven years, the couple would have three children: Henry Arthur (1903-1988), Leonard Frederick (1905-1979) and Ernest Christopher (1908-1975). In 1911, the family had moved back to Mile End Old Town and were living at 12 Joseph Street. Henry was now working as a Dock Labourer at the Port of London Authority. 1911 England Census, Mile End Old Town, London, Registration District 21, Enumeration District 30, Piece 1646, Mary Donald, database and images, Ancestry.co.uk (www.ancestry.co.uk: accessed 26 Jan 2019). On 21st September 1917, tragedy struck the family when Mary’s husband Henry died. He died in the Poplar & Stepney Sick Aslyum of Pulmonary Tuberculosis. Five years after losing Henry, Mary remarried. She married Thomas Watts in March 1922 in Poplar. One by one, her children left the home. In 1925, Leonard emigrated to Australia where his descendants remain today. In 1933, Henry married Agnes Thorogood, shortly followed by Ernest marrying Isabel Donoghue in 1935. In 1939, the couple were living at 165 Fairfoot Road, Poplar where Thomas was working as a General Labourer. “1939 England and Wales Register”, Schedule No. 162, Registration district 19-1, Poplar, London, Mary Watts, database and images, Findmypast.co.uk (www.findmypast.co.uk: accessed 26 Jan 2019); citing TNA 1939 Register, Series RG101/443F. In September 1962 , Mary died in Surrey. She was survived by her three children, and many of her descendants still live in the London area. 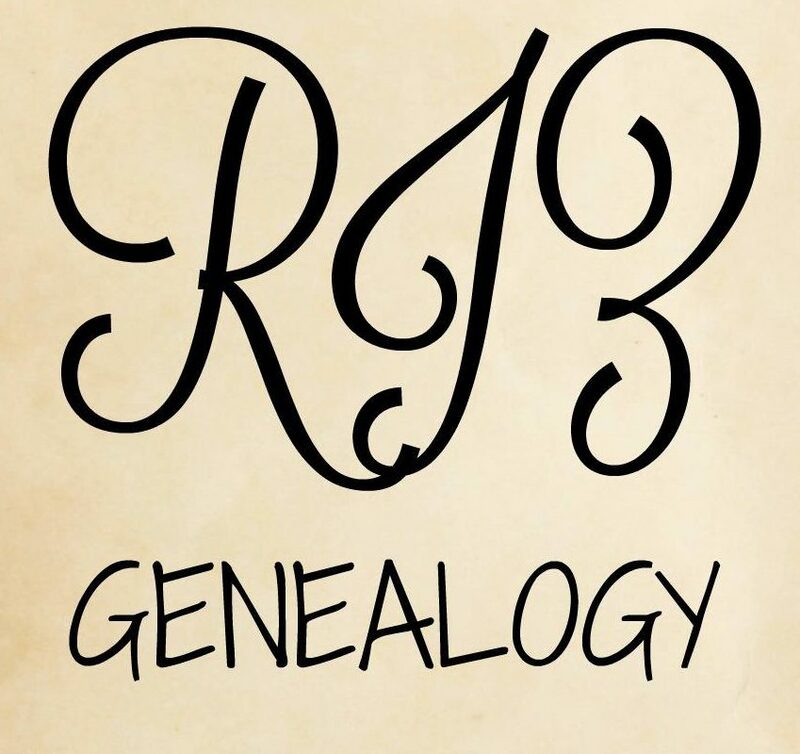 In this week’s Ancestor Spotlight, we meet my maternal 3x Great- Grandmother Jane Hussey. Jane was born on 17th February 1850 in Shoreditch, London to Thomas Hussey and Elizabeth Porter. Three weeks later, she was baptized on 10th March at Hoxton St John church. “London, England, Birth and Baptisms, 1813-1906”, entry for Jane Hussey, 10 March 1850, Hoxton St John, Hackney, database and images, Ancestry (www.ancestry.com: accessed 11 Feb 2019); citing LMA, Ref No: p91/jnb/005. In 1851, a young Jane was living with her parents and older sister Elizabeth at 52 Mansfield Street, Shoreditch. 1851 England Census, Shoreditch London, Household Schedule 86, Piece 1537, Folio 343, Page No. 20, Jane Hussey, database and images, FindmyPast (www.findmypast.co.uk: accessed 11 Feb 2019). In 1861, 11-year-old Jane was living at 10 Upper Bemerton Street, Islington. She lived with her parents and two younger siblings, Harriet and Thomas. 1861 England Census, Islington, London, Household Schedule 339, Piece 130, Folio 88, Page No. 59, Jane Hussey, database and images, Ancestry.co.uk (www.ancestry.com: accessed 11 Feb 2019). On 25th December 1868, Jane married James Donald, a Warehouseman, at St Stephens Church, Spitalfields. “London, England, Church of England Marriages and Banns, 1754-1921,” database and images, Ancestry.com (www.ancestry.com: accessed 11 Feb 2019), entry for Hussey-Donald, 25 Dec 1868; citing London Metropolitan Archives, Church of England Parish Registers, P93/ste/005. By 1871, the couple had moved to 29 Back Church Lane, Whitechapel with their baby daughter Jane Mary-Ann. They shared their house with another family – The Coopers. 1871 England Census, Whitechapel, London, Household Schedule 80, Piece 522, Folio 92, Page No. 14, Jane Donald, database and images, Ancestry.co.uk (www.ancestry.com: accessed 11 Feb 2019). In 1881, Jane and James had moved to 39 Ernest Street, Mile End Old Town. Jane was working as a Dress Maker to help provide for their four children – Jane, James, Henry and Margaret. 1881 England Census, Mile End Old Town, London, Household Schedule 410, Piece 481, Folio 109, Page No. 75, Jane Donald, database and images, Ancestry.co.uk (www.ancestry.com: accessed 11 Feb 2019). By 1891, the Donald family had moved again. Jane now lived at 117 Grove Buildings in Mile End Old Town with James and their six children – James, Henry, Caroline, Phoebe, Christopher and Lavinia. 1861 England Census, Mile End Old Town, London, Household Schedule 296, Piece 310, Folio 138, Page No. 45, Jane Donald, database and images, Ancestry.co.uk (www.ancestry.com: accessed 11 Feb 2019). In 1901, Jane was not listed with her family in the census. This was because she was serving a 6 month prison sentence at Wormwood Scrubs Prison. She was found guilty of feloniously receiving stolen property – a gold watch from the London and North Western Railway Company. It is interesting to note that her son Christopher was also in prison in the 1901 census. He was 16 years old and was being held at the prison in Bedford. This may have been from the same crime his mother was convicted of. “England & Wales, Crime, Prisons & Punishment, 1770-1935”, entry for Jane Donald, 15 Jan 1901, Clerkenwell, Series HO140, Piece 210, database and images, FindmyPast (www.findmypast.co.uk: accessed 11 Feb 2019). In 1911, Jane was now a widow, as her husband James died in 1902. She was living at 12 Guerin Street, Bow with her daughters Caroline and Lavinia. 1911 England Census, Poplar, London, , Piece 1663, Registration District 22, Jane Donald, database and images, Ancestry.co.uk (www.ancestry.com: accessed 11 Feb 2019). Jane was 90 years old when she is died in April 1937. She was buried on 9 April 1937 at Romford Cemetery, Havering, London. “Burial Register Scan”, Jane Donald, 9 April 1937, Romford Cemetery, digital image, DeceasedOnline (www.deceasedonline.com: accessed 11 Feb 2019). In this week’s Ancestor Spotlight, we meet John Torrance, my paternal 4 x Great Grandfather. John Torrance was born on 22 January 1800 in Walmgate, York to James Torrance and Elizabeth Johnson. As seen in his birth record below, both sets of his grandparents are recorded as well. His paternal grandparents were John Torrance (a Stone Mason from Kilmarnook, Aryshire, Scotland) and Ann Kindley. His maternal grandparents were Thomas Johnson (a Shoemaker from Sutton of Forest – now Sutton-on-the-Forest, Yorkshire) and Ann Fibb. “England & Wales, Non-Conformist and Non-Parochial Registers, 1567-1970”, entry for John Torrance, 22 Jan 1800, Walmgate York, Piece 3518, database and images, Ancestry (www.ancestry.co.uk: accessed 3 Feb 2019); citing National Archives, Class No: RG4, Piece No: 3518. On 21st December 1821, John married Sarah Moorcroft at St Matthews Church, Walsall, Staffordshire. In 1824, John had finished his Glover apprenticeship and applied for Freedom of the City papers, which would allow him to practice independently. “City of York Apprentices and Freemen 1272-1930”, entry for John Torrance, 1824, database and images, FindMyPast (www.findmypast.co.uk: accessed 3 Feb 2019). Over the next 16 years, John and Sarah had four children – Elizabeth Emma (1827-1853), John James (1830-1882), William (1831-1879) and Mary (1839- 1895). In 1841, John was living in St Luke, Finsbury with his wife Sarah and their four children. In 1843, their final child Sarah was born. 1841 England Census,St Luke, Middlesex, Piece 666, Folio 20. Book 8, Page No. John Torrance, database and images, Ancestry (www.ancestry.com: accessed 3 Feb 2019). In 1851, John was living with his wife, three of his children (John, Mary and Sarah) and a grandson, James. The family was living at 21 Old Street, St Luke, Finsbury, a fairly middle class area just outside the City of London. John was still working as a Glover, his son John was now a fishmonger and his daughter Mary, a Flower Maker. 1851 England Census, St Luke, Middlesex, Household Schedule No: 30, Piece 1522, Folio 317, Page No. 6, John Torrance, database and images, Ancestry (www.ancestry.com: accessed 3 Feb 2019). Tragically, John died just a year later on October 10th 1852 aged 52. In a surprising twist, his death certificate states that he died a “Natural Death by Visitation of God”. In the early 1800s, this was a common description used for those who died young of natural causes. It was believed that when one’s time was up, that was it! From the 1840s onwards, this phrase was being phased out, but many coroners still used it up until the late 1890s. General Register Office. Death Certificate, St Luke, London, John Torrance, Oct-Nov-Dec 1852, Vol. 1b, Page 342. In this week’s Ancestor Spotlight, we meet my maternal 3x Great-Grandfather James Dugdale Edghill. James Dugdale Edghill was born 26th January 1854 to Samuel Dugdale Edghill and Pleasance Anderson. At the time of his birth, the family resided at 32 Clarence Street, Rotherhithe. His father’s occupation is listed as Lighterman. Lightermen worked on the River Thames, carrying goods and cargo from large ships to the wharfs. They were masters of their craft and had to spend seven years as an apprentice to learn how to properly operate the barges. General Register Office. Birth Certificate, Rotherhithe, London, James Dugdale Edghill, 1854, Vol 1d, Page 495. In 1861, James still resided on Clarence Street, but the family appeared to have moved up several houses to number 39 to live with his grandmother, Ann Edghill. Ann was his paternal grandmother and had been widowed in 1855 when her husband James Robert Edghill died. James also resided with his father, mother and sister Sarah. 1861 England Census, Rotherhithe, London, Household Schedule 126, Piece 389, Folio 63, Page No. 23, James Edghill, database and images, Ancestry.co.uk (www.ancestry.co.uk: accessed 28 Jan 2019). The 24th April 1868 was a big day for James. He followed in his ancestors’ footsteps and signed an agreement to become an apprentice to John William Talbot, a local shipwright. “London, England, Freedom of the City Admission Papers, 1681-1925)”, James Dugdale Edghill, 24 Apr 1868, database and images, Ancestry.co.uk (www.ancestry.co.uk: accessed 28 Jan 2019); citing London Metropolitan Archives, Ref No. COL/CHD/FR/02/2119-2124. It is interesting to note that his address was listed as 32 Clarence Street in this document, suggesting the family had moved back to their original house. The length of apprenticeships for many of the occupations on the Thames (boat building, lighterman etc) was seven years. The Talbot family owned a successful barge building business that was passed down through the generations. Talbots Bros were based at 292 Rotherhithe Road, very close to where James was living. James’ master, John William Talbot, was one of the grandsons of Robert Talbot, the founder of the Talbot Barge Building business. In 1841, James’s grandfather, James Edghill, lived on the same street (Clarence Street) as John William Talbots uncle, Thomas Talbot. Thomas Talbot worked at the barge building business with his father and siblings. This family connection may have made it easier for the younger James to have gotten an apprenticeship with the company. In 1871, the family had moved back into 39 Clarence Street. His grandmother Ann died in 1870 and this may have been a reason they moved back to number 39. James was listed as a barge builder apprentice and would have been approximately halfway through his apprenticeship with the Talbots. 1871 England Census, Rotherhithe, Surrey, Household Schedule 108, Piece 642, Folio 71, Page No. 19, James D Edghill, database and images, Ancestry.co.uk (www.ancestry.co.uk: accessed 28 Jan 2019). In between the number 32 and number 39 Clarence Street houses stood the Lord Nelson Pub at 35 Clarence Street. Public houses were a community hub in Victorian London and many of the dockyard workers would have spent their evenings there after a long, hard day. As of 2013, the pub still stood as the Lord Nelson, located at 68 Canon Beck Road, Rotherhithe. As James followed in his father’s footsteps and began working in the shipyards, their home on Clarence Street was in the ideal location. As seen in the attached map from 1863, Clarence Street (marked with a red line on the left side of the map) was located between the huge Grand Surrey Docks and the banks of the Thames River. Old House, “London North East Map”, Four Very Details Maps of Victorian London 1863. James married Hannah Amelia ‘Annie’ Dare on 18th July 1875 at St George the Martyr in Southwark. “London, England, Church of England Marriages and Banns, 1754-1921”, database and images, Ancestry.co.uk (www.ancestry.co.uk: accessed 28 Jan 2019), entry for Edghill- Dare, 1 Aug 1875; citing London Metropolitan Archives, Church of England Parish Registers, p92/geo/210. In 1881, James and Annie were living at 25 Beatrice Road, Bermondsey with their two children, Annie (4 years old) and James (2 years old). James was now a fully qualified Barge Builder, although it is not known if he was still working for the Talbots. As the Talbots were located right on the banks of the Thames, he may have been working at a different dockyard, closer to his home. The family were also sharing their house with another family – Albert Bentley (an Iron Merchants Yard Foreman), his wife and four children. 1881 England Census, Bermondsey, London, Household Schedule 48, Piece 572, Folio 84, Page No. 9, James Edghill, database and images, Ancestry.co.uk (www.ancestry.co.uk: accessed 28 Jan 2019). By 1891, the Edghills had moved again – this time to Deptford, an area just to the south of Rotherhithe. They lived at 49 Rectory Buildings, a block of flats on Crossfield Lane. The family had grown in size with the addition of four sons – William (11 years), Albert (9 years), Henry (4 years) and Samuel (1 years). James was still working as a Barge Builder and his location on Crossfield Lane would have been ideal for working at the industrial area on Deptford Creek. 1891 England Census, St Paul Deptford, London, Household Schedule 235, Piece 494, Folio 157, Page No. 36, James Edghill, database and images, Ancestry.co.uk (www.ancestry.co.uk: accessed 28 Jan 2019). According to the Booth Poverty Map (created between 1886-1903), Crossfield Street was listed as a combination of “Very poor, casual. Chronic want” (dark blue) and “Poor. 18s to 21s a week for a moderate family” (light blue). Many dock workers struggled to support their large families on meager wages. Crossfield Lane (residence c. 1891-1894) shown on left with green arrow, Pender Street (residence ca. 1894-1907) on the top left and Deptford Creek (possible employment site) on the right. According to Electoral records, the family lived at the Rectory Buildings until 1893. There is no electoral roll for James in 1894, however in 1895, he is registered as living at 6 Pender Street, Deptford. In 1901, the family is still listed as living at 6 Pender Street. As shown in the map above, this was very close to their previous address, and would again be a good location for working on Deptford Creek, as James was still working as a Barge Builder. Since the last census, two more children had been born – Elizabeth (8 years) and Alice (6 years), but the couple’s two oldest children, Annie and James, had moved out. The family lived at Pender Street until 1907 when they moved to 5 Hughes Field, Deptford. 1901 England Census, St Paul Deptford, London, Household Schedule 114, Piece 523, Folio 15, Page No. 20, James Edghill, database and images, Ancestry.co.uk (www.ancestry.co.uk: accessed 28 Jan 2019). James died on 27th February 1909 of Intestinal Obstruction and Heart failure – his son Joseph William was present at his death at Guys Hospital. He was buried on 6 March 1909 in Nunhead Cemetery, Southwark. General Register Office, Death Certificate, Southwark, London, James Dugdale Edghill, 1909, Vol 1d, Page 18.